Willis was a few minutes late. Worried that he was in a wreck, his mother stood at the door and watched for him. 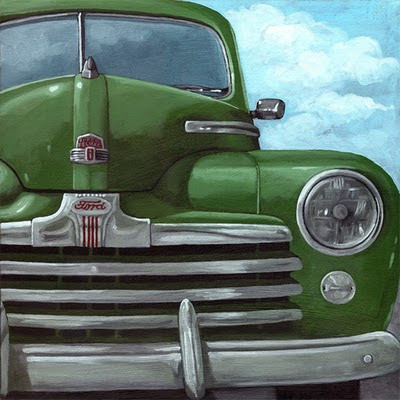 When she saw his old familiar green Ford pull into the driveway, she felt the relief in her abdomen through her legs all the way down to her toes. She smiled, picked up a wooden spoon to stir the spaghetti boiling on the stove, and waited for him to come in. When he opened the door and stepped into the kitchen, she felt the little blast of cold air at her back and turned from the stove to greet him. Her smile faded, though, when she saw he had someone with him. Sten smiled shyly and stepped forward and shook her hand. “I hope it’s not an inconvenience,” he said. “Dinner will be ready in a few minutes,” she said. With the three of them seated at the table, she avoided looking directly at Sten. She had developed an instant dislike for him based somehow on the set of his mouth and the unfamiliarly of his eyes but more on the fact of his being an intruder in her home. She smiled, though, because that’s what she thought a mother should do. Smile and it will soon be over. “Did you have an interesting day today, dear?” she asked. “More interesting than most,” Willis said. Willis took a deep breath and set down his fork. “I quit the factory today,” he said. He smiled foolishly like an eight-year-old boy blowing out the candles on his birthday cake. She looked at Sten, believing he must have something to do with it. “Did you quit the factory today, too?” she asked. “Sten doesn’t work at the factory, mother” Willis said. “Sten doesn’t need to work,” Willis said. “No, I, uh, never found it necessary to work for a living,” Sten said. When they finished eating, Willis stacked the dishes for her to wash and he and Sten went upstairs and shut themselves away in Willis’s room. The next morning she was in the kitchen when Willis came down alone. “Who is he?” she asked. “You never had a guest before,” she said. She was prevented from asking further questions by the arrival of Sten from upstairs. “I’ve starving,” he said, sitting down familiarly at the table. She cooked the breakfast and set it on the table and busied herself while they ate. With their heads together, Willis and Sten talked in low voices and occasionally laughed. It bothered her that they seemed so intimate together and she didn’t know what they were saying. They seemed to have forgotten she was in the room. “Not go-ing!” Willis said in a sing-song voice and he and Sten laughed in their private way. All day her nerves were on edge, wondering what had got into her Willis. He was always such a good boy, so steady and reliable. Never did anything erratic or impulsive before. From high school he went to work in the factory and never uttered a single word of complaint in all those years. What could have made him change so much? She opened the door to Willis’s room and went inside with the intention of tidying up, but everything was perfect. Bed neatly made. Clothes hung up. Shoes perfectly aligned in the closet. Dresser and chest of drawers straight and neat. Floor clean. Not a speck of dust anywhere. She sighed heavily and sat down on the bed and ran her hands over the beautiful light-green chenille bedspread that Willis had picked out on his own. As she sat on the bed, she thought of Willis and Sten in the bed together, their whispering and intimacy. What did it mean when two grown men slept in the same bed together? She had no experience with such matters. Maybe she hadn’t known Willis as well as she thought all those years. She fixed fried chicken for dinner, Willis’s favorite, and she hoped above hope that when he came home he would be alone, but it wasn’t to be. At a few minutes before six, about the time he would have come home from work if he had gone to work, Willis and Sten came in the back door. They were laughing and seemed happy. “Where did you go all day if you didn’t go to work?” she asked. “Is that what you’re going to do every day for the rest of your life?” she asked. That evening they left again without telling her where they were going. To keep herself from witnessing their happiness and to keep from knowing what time they returned, she took a sleeping pill and retired early, locking the door to her bedroom. She slept until nine o’clock the next morning and when she awoke and went downstairs, Willis and Sten were in the kitchen, putting away the groceries they had just bought. “What’s all this?” she asked, indicating the bags on the table. She wanted to object but could find nothing to object to. Without speaking a word, she made a pot of tea and set about cooking the breakfast. After Willis and Sten went on in this way for almost two weeks, Willis’s mother decided the time had come to confront him while Sten was taking a bath. “It bothers you to see me happy, doesn’t it?” he said. The next morning Willis and Sten loaded Willis’s suitcases into his car. Sten shook Willis’s mother’s hand, thanked her for her hospitality and went out the door, leaving two one-hundred dollar bills on the kitchen table. “Where will you go?” Willis’s mother asked him. She watched the car until it was out of sight and then she sat down at the table and had breakfast. Willis will be back, she thought, and when he comes back he will be without Sten. It’s not that easy to leave your life behind and the only home you’ve ever known. He will choose his mother over his friend. Weeks went by and she heard nothing. She thought about Willis all the time and wondered where he was and how he was faring. She blamed herself for his sudden change and for his leaving. She sat and pondered over his picture for hours and wondered where she had gone wrong. Had she been too smothering, too possessive, or had she been too lax in letting him have his own way? She didn’t know what she was. People rarely see themselves as they are. She thought how alike Willis and Sten were. How had she failed to see it before? They were the same age, height, coloring and build. They even walked alike and spoke in the same way. After a while they became indistinguishable in her mind. When she thought of Sten she saw Willis and when she saw Willis in her mind’s eye she also saw Sten. There they were, side by side, just alike. No, wait a minute. They’re not two. They’re one. Two become one.